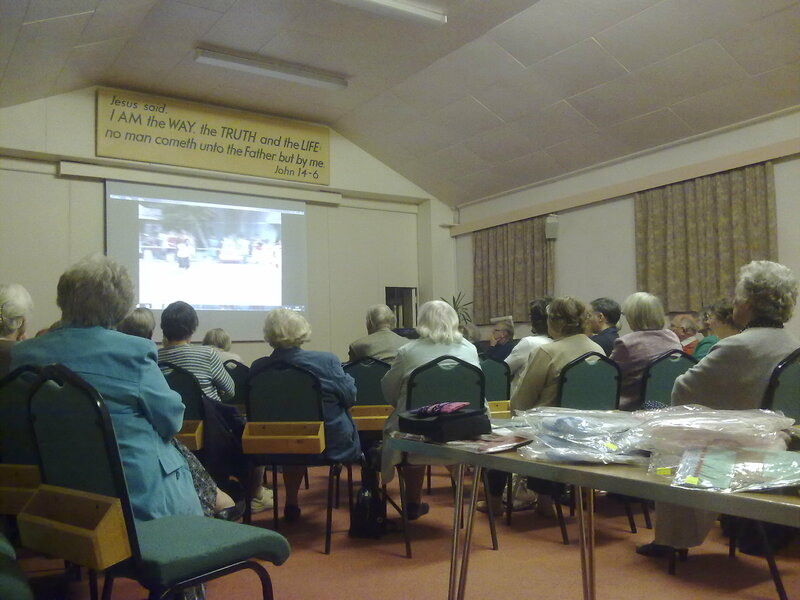 Around 35 people from many local fellowships gathered for an informal evening to hear about the work of the Christian Missions Charitable Trust, from its President, Dr Colleen Redit. Colleen began by playing a DVD which summarised some of the huge amount of work which is carried out by the Trust, which receives no government funding and is completely reliant on donations to keep it running. Some of the work that the Trust is engaged in includes the running of a hostel for over 100 people and an orphanage for 150 children. In addition, they run a school for 1200 pupils and also a hospital with 200 patients as well as many other ongoing works. Following the DVD, Colleen invited one of her colleagues, Philip to come and explain his role within the work and answer numerous questions from those gathered. Colleen had also bought along various examples of some of the handicraft produced in the House of Hope Centre which provides training and employment for over 130 women and teenagers. It was a very enlightening evening and useful to get an insight into the work being carried out by Christians in India and all led by the indefatigable Colleen Redit. The brief time finished with light refreshments.